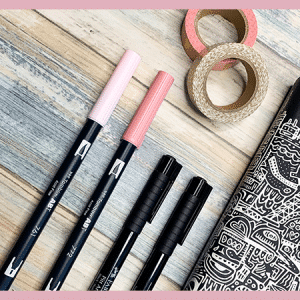 Make room in your desk drawers or pencil case. 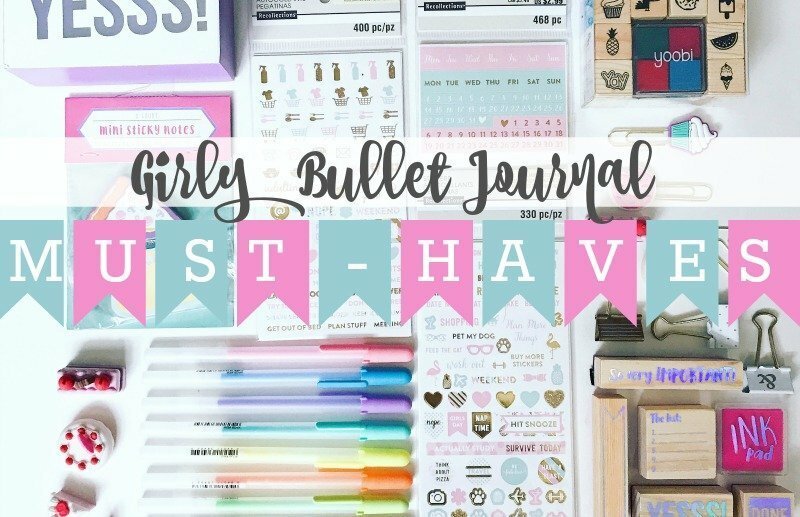 Pastel, Glitter, and Gold Foil stationery supplies fill this list of top girly bullet journal must-haves. If you have followed me at all, you know that I’m a sucker for all things girly. Strangely enough, I dress in a lot of sweatshirts and sports bras in real life. 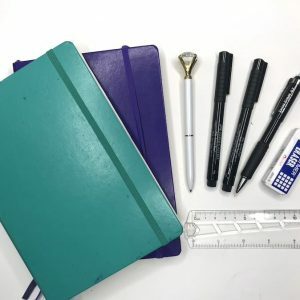 But looking at my bullet journal supplies, you’d think I only wore monogrammed polos and pleated skirts. 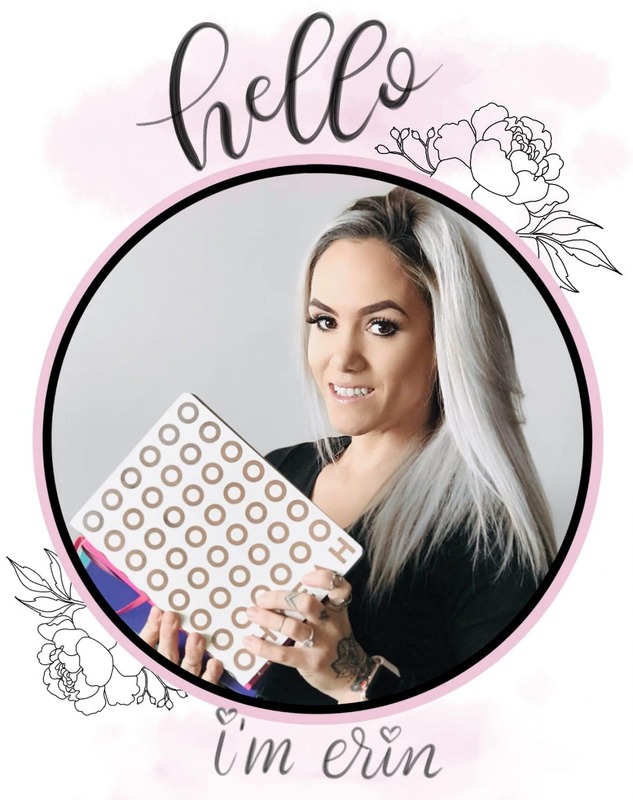 If you are obsessed with pastel anything, Starbucks, glitter, and anything pink, you have to check out these bullet journal must-haves. Psst! Husbands, this doubles as a gift guide as well. If your wifey does the whole bullet journal think, take not and buy her stationery supplies that are pretty. 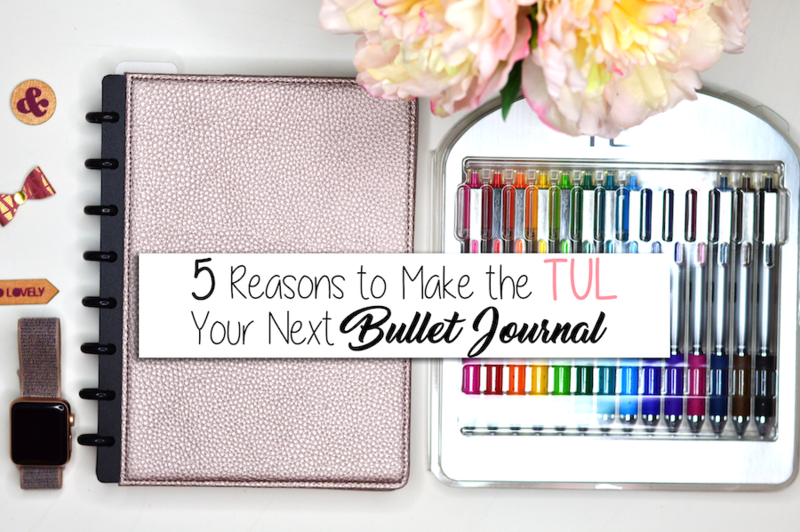 Every girl wants her bullet journal to look pretty inside and out. 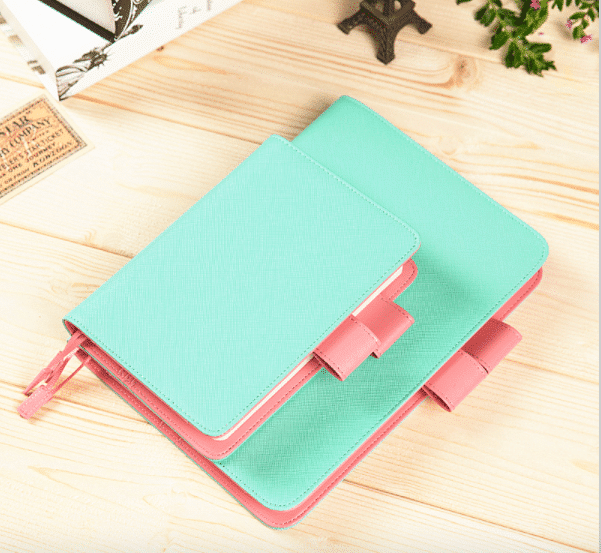 This leather A5 journal cover is out of this world girly and cute. It comes in multiple color and pattern schemes, including polka-dots. 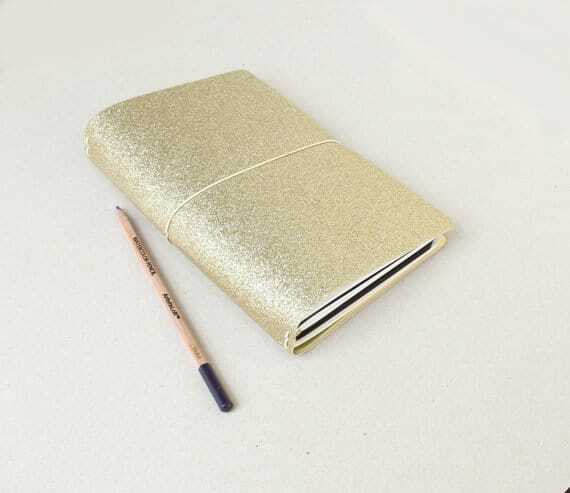 Plus, it has small pockets inside for business cards or lists and a pen loop. Best of all, without any page inserts, it’s under $20 with free shipping.
. Plus, you can add extra inserts, categorize things, etc. Back to the point; if you use a travelers system or would like to, here is your cover. We all know someone who is a washi tape hoarder. 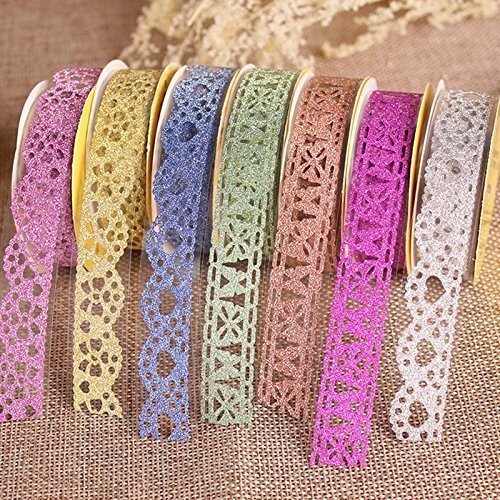 There’s something about cute designs printed on sticky tape that we can’t resist. I highly recommend searching AliExpress for your washi tape needs. They are so cheap, and honestly, they have some of the most gorgeous designs. 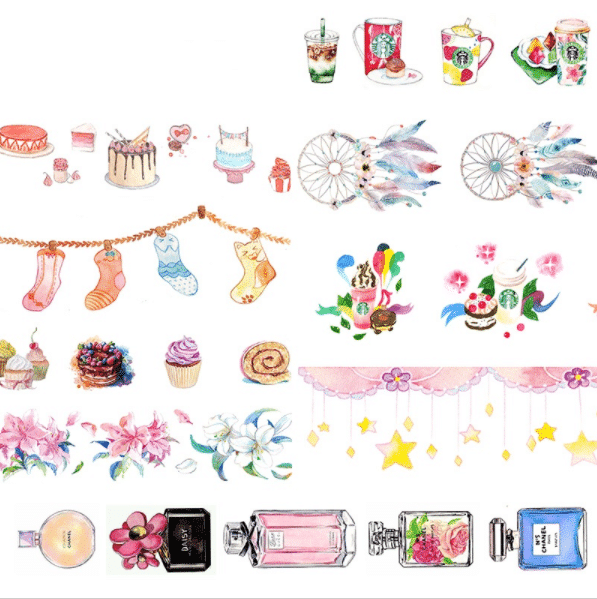 I love the Starbucks washi and the perfume washi in this collection. 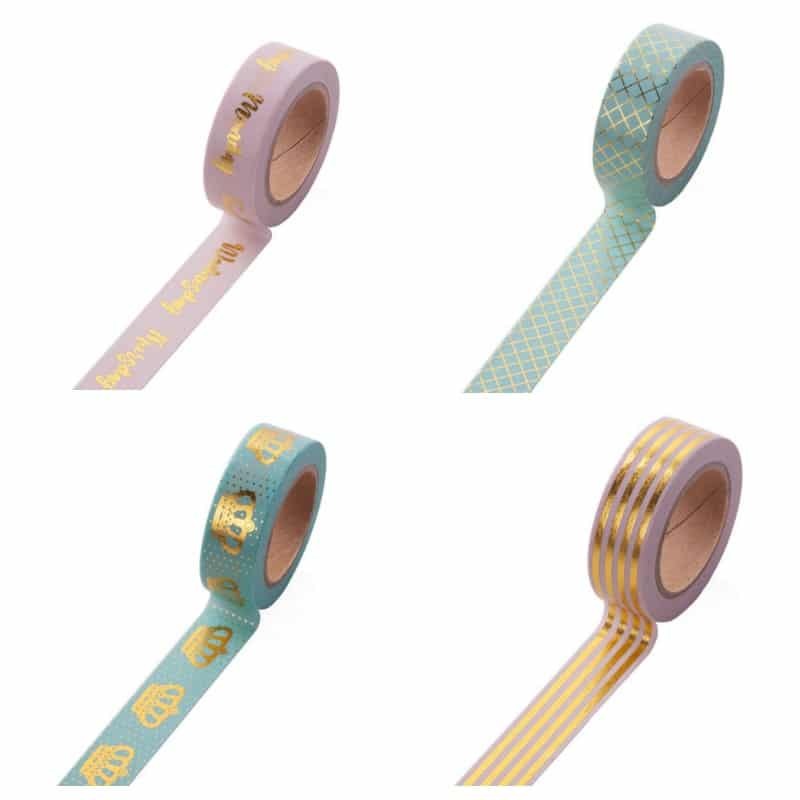 And what about gold foil pastel washi tape? Can I get a ‘hell yes’, ladies? I want to stick it everywhere! Let’s combine two of the girliest things, glitter and lace, and see how much money we can make? I’m pretty sure that was the thought process when this washi tape was created. It’s gorgeous and totally necessary. You can tell your husband I said so. There’s no doubt that pastel is in for good! Soft subtle colors are making their way in the bullet journal world, and I’m all for it. 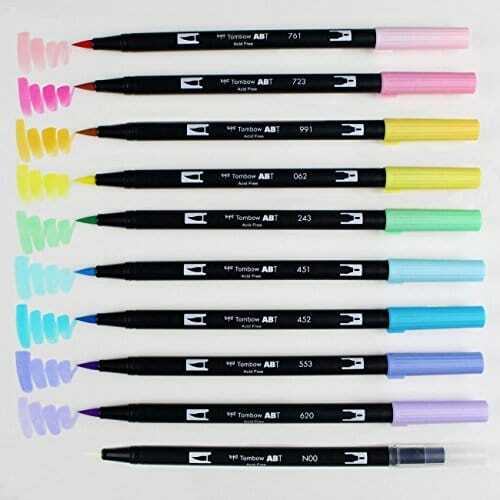 It’s on my to-do list to buy up all the pastel pens and markers offered. But I’ll just run through some of my favorites. I just bought these at Michael’s for a much higher price than Amazon offers them because I needed the instant gratification. And while I’m a still a little sensitive about the subject, it was soooo worth it. These pens write so smooth. 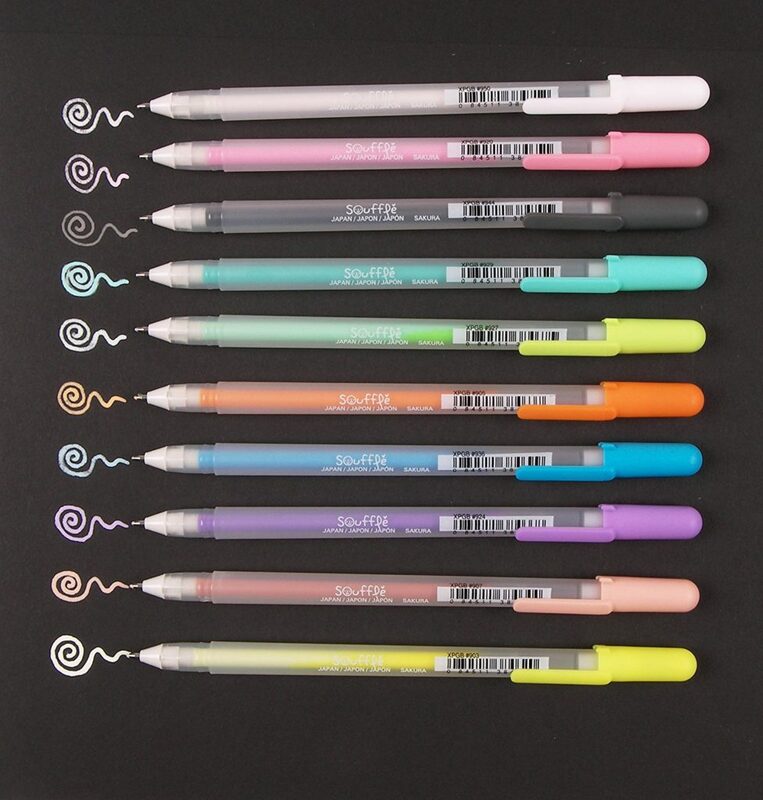 Gelly Rolls have been my favorite since I was in second grade when my mom bought me my first pack at Joann’s. 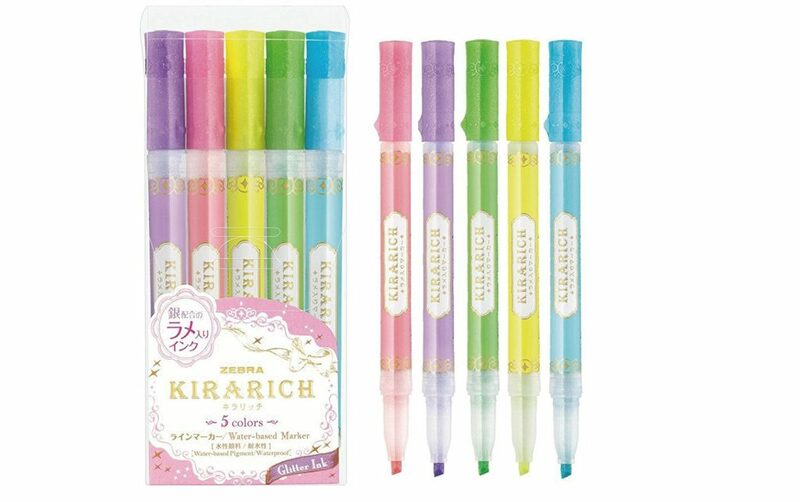 I’m a little ashamed that I haven’t ordered these highlighters yet. They have been on my wishlist for ages. I’ve seen them all over Instagram and been in love with their soft tones and unique packaging. I bring the Tombow Pastels up constantly, I know. Girl if you do not have these in your collection, you need to sell your hair, your kidney, or your left big toe. You need these! They are by far my very favorite pens/markers. The colors are swoon-worthy. They are soft and go on smooth. You can blend them. It’s all the magic in the creative world jammed into a marker. I have this bigger pack with 18 colors. in a previous post about bullet journal supplies. I can’t get over these. Was that overboard? Too much pink on one page? Sorry, not sorry. I wrote this so I could send it to my fiance in an email with a winky face. He needs little hints when it comes to gifts. Ladies, feel free to do the same. Tell me, what is your favorite girly item on the list?